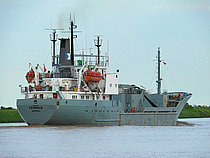 CEMBALO en route to the slipway. 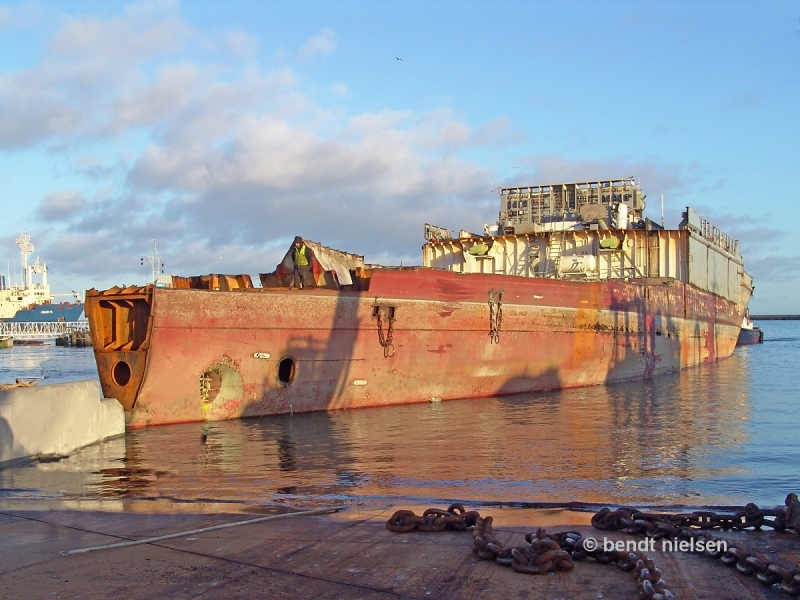 CEMBALO arrived in January 2016 to Fornaes Shipbreaking Ltd. Grenaa / Denmark where she is now in the process of being scrapped. 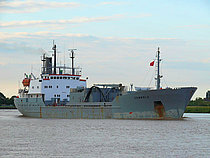 See a small line of CEMBALO below under "THIS SHIP"
This photo has been shown 796 times since it was added to the site.